An album that definitely lives up to its title – but which also offers a lot more than you might expect – way more than just a few cash-in dancefloor tunes! True, the whole thing's pretty lively – and titles include the group's seminal version of "Dancing In The Street" – still the only version you'll really ever need, despite years and years of countless covers that always fall short of the mark. 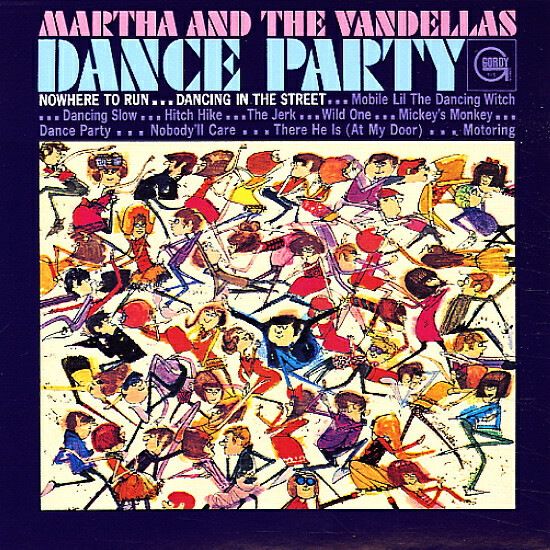 But the set's also got a wonderful range that really displays the lead power of Martha Reeves – hewn tightly to the supporting Vandellas backups – and filled with a rich sense of feeling on titles that include the classic "Nowhere To Run", plus other Motown goodies like "Hitch Hike", "Mickey's Monkey", and "The Jerk". © 1996-2019, Dusty Groove, Inc.